We’re catching up with PANIC! AT THE DISCO frontman Brendon Urie, from his first AP cover 11 years ago to his nightly routine of selling out arenas. It’s required reading for the world’s Panic fanatics. With a career trajectory not normally seen in rock music, let alone today’s pop/punk crossover fandom, Brendon Urie went from hired-hand frontman to CEO At The Disco. 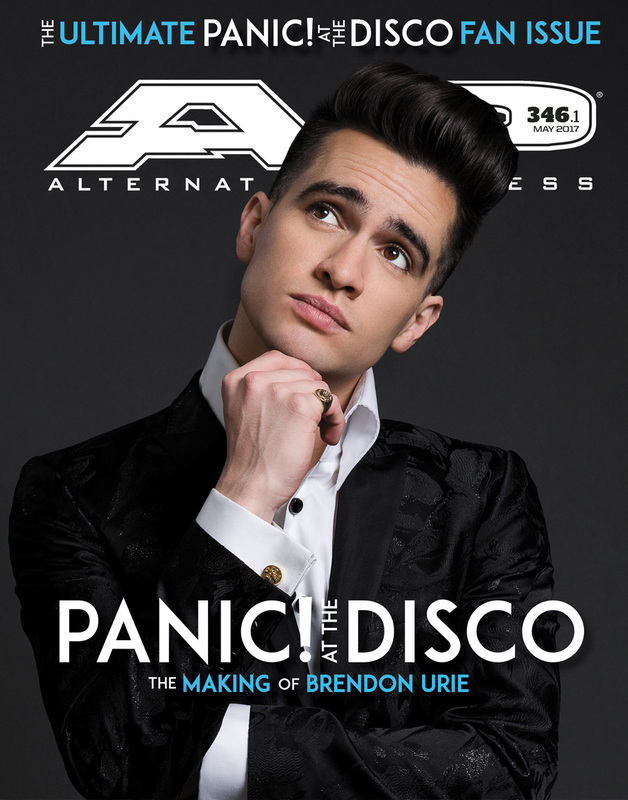 So we’re celebrating the seemingly unstoppable rise of Panic with an issue featuring a reprint of Panic’s first AP cover from 2006, a new interview with Urie, the sordid details behind some of his famous antics, some activity action and plenty of previously unseen photos. This truly is AP’s gift to the manic Panic fanatics in the world today. With all-new commentary from Brendon Urie. In addition to reprinting Panic’s first AP cover story from April 2006, we had Urie annotate the story 11 years later. With Grammy noms and arena tours, Brendon Urie has a lot on his plate. Lucky for us, he was willing to dish on the best and worst parts of his crazy, genius year. Urie comes clean about the debauchery surrounding his telling of Fall Out Boy’s history online. Do not try this at home. To let off some steam and some anxiety, Urie took to the now-defunct social app Vine for maximum buffoonery and hilarity. Our web surfing has since gotten a lot less fun. Create-your-own lyrics, crosswords and other trivia exercises to test your superiority of all things Panic. 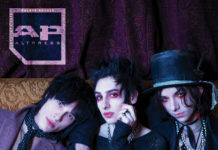 The five Panic albums as reviewed by AP’s editors and contributors. No regrets, no do-overs, no revisionist history. We’re okay with it and you will be, too. K. FLAY, MODERN CHEMISTRY, BLOOD YOUTH and 12 more bands to get in on the ground floor with. Update your space! Spring means removing, repurposing and reinventing the stuff of your surroundings. Here’s some new stuff to help you make it happen. 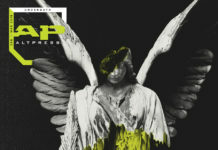 The latest releases by THE MAINE, MASTODON, NEW FOUND GLORY and more. Dream records we’d love to buy on this year’s Record Store Day.